Transfer Enterprises has been a trusted source in CT and throughout New England for workstations, space planning, design and installation for over 25 years. We offer FREE space planning consultations at your site and FREE estimates. 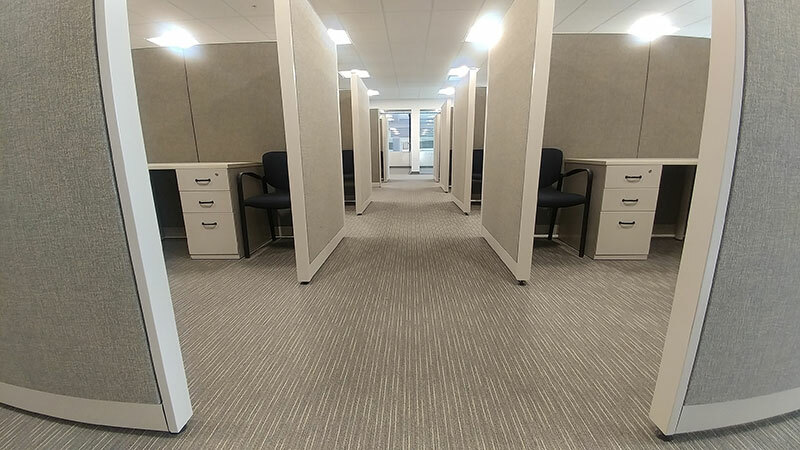 Our experienced staff is happy to help you customize your office space with colors and fabrics that work with your existing decor, or if you would simply like to update the overall look of your existing or purchased office furniture. Our design center is conveniently located right on the showroom floor in Manchester, CT. 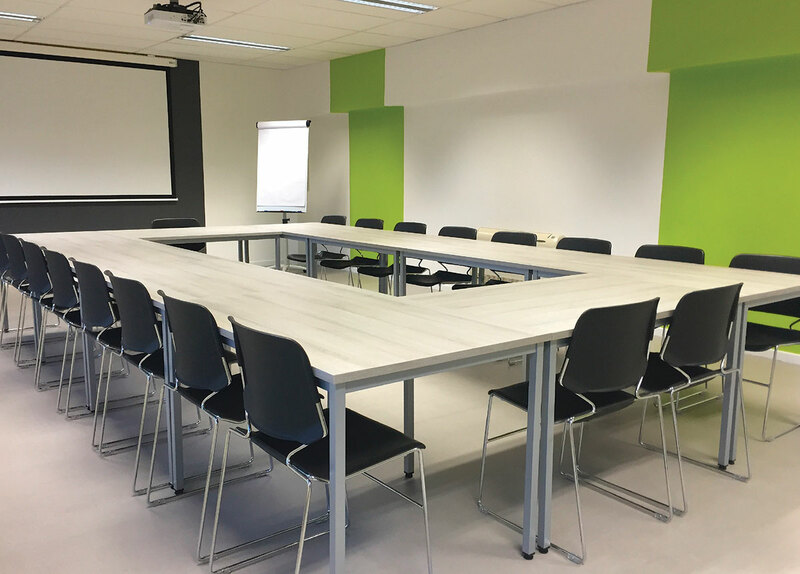 Many of our chairs and workstation panel systems can be updated with new fabrics. Bookcases and file cabinets can be painted to match. Stop in and browse the many options available to complete the look of your office furniture selection! 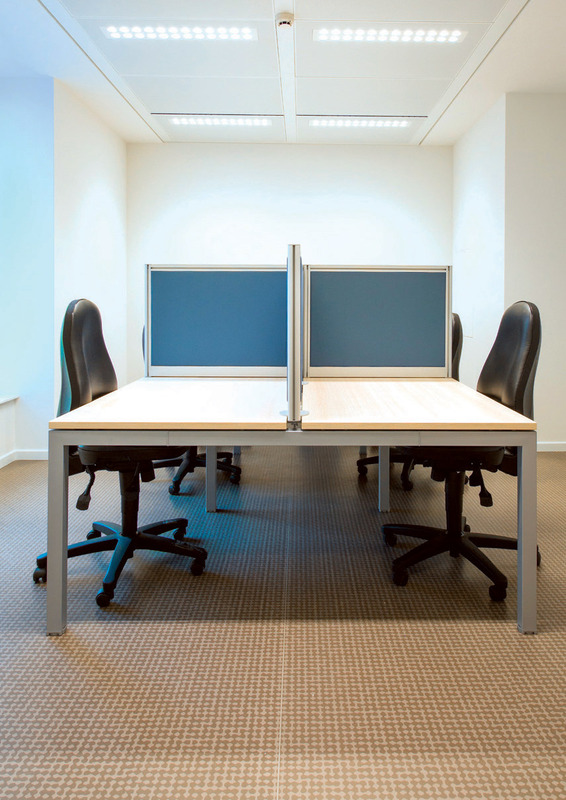 Transfer Enterprises expert staff can help you select office furniture that will last for years, fit your existing space, and allow for easy expansion. Our team on our showroom floor is always up-to-date on our rotating inventory, and can help you select what’s best for you based on your needs. Whether it is a doctor’s office, accounting firm, work cubicles, open floor plan, or any other type of commercial space, Transfer Enterprises is able to find the right type of furniture to fit your budget. We also offer delivery and installation, as well as full space planning services. Make the most of your office space with custom planning services – FREE of charge! Our goal is to make sure you get the biggest bang for your buck when purchasing commercial office furniture. We have professionals on staff who can help you figure out how to best use your space with an optimal layout, and then select furniture to accommodate your needs. Additionally we offer custom design options, so your tables, chairs and workstations will fit the aesthetic of your company seamlessly. Before you arrive at Transfer Enterprises, it can be very helpful to take some simple measurements of your office space and plot them out on a layout plan. This is especially important if you are planning on making an immediate purchase, as you want to make sure you select furniture that will fit comfortably in your office. You can download a blank layout plan below on which to record your office dimensions, and to sketch out your desired layout. Then just show the dimensions to a TE team member, and they can help you find exactly what you need. Transfer Enterprises will also be happy to come to your office to measure for you, ensuring you have accurate dimensions when selecting your final products. If you have a large amount of space or multiple rooms to measure, this can save you time. Contact Transfer Enterprises today to speak to a team member or to schedule a no-obligation appointment to plan your office space. Use the form below to schedule an appointment or to find out more! You can also contact us at 860.645.9090 to set up an on-site consultation or personal tour of our showroom.